Widely published, Dr. Waddock’s research interests are in the area of macro-system change, intellectual shamanism, stewardship of the future, wisdom, corporate responsibility, management education, and multi-sector collaboration. Dr. Waddock has published well over 100 articles on corporate citizenship, sustainable enterprise, difference making, wisdom, stewardship of the future, responsibility management systems, corporate responsibility, management education, and related topics. Widely published, Dr. Waddock’s research interests are in the area of macro-system change, intellectual shamanism, stewardship of the future, wisdom, corporate responsibility, management education, and multi-sector collaboration. 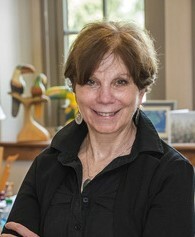 Her papers on corporate citizenship and responsibility have appeared in The Academy of Management Journal, Academy of Management Executive, Strategic Management Journal, Business & Society, and The Journal of Corporate Citizenship, among numerous other outlets.